In the heady days of the space race, the Mercury Seven astronauts were celebrities, and the Moon’s silver face seemed, for the first time in human existence, close enough to touch. For many, space was a tantalizing promise of a wonderful future, beyond the strife of an increasingly divided Earth. For others, supremacy in space was the answer to the Cold War. And for yet others, space was a sign of profligate spending of time and energy on dreams, when reality desperately needed America’s attention. Echo satellites in the early 1960s. NASA. NASA achieved its most spectacular first steps in those days, making heroes out of men and women who dared to push harder, dream bigger, and be smarter than anyone before them. Those moments created titans in American history, such as rocket pioneers Robert Goddard and Wernher Von Braun, or astronaut adventurers John Glenn and Neil Armstrong. But many of the actors in this play remain hidden in the wings. Now, decades after the work that should have made them legendary, the black women who helped put the United States in space are finally having their stories told. 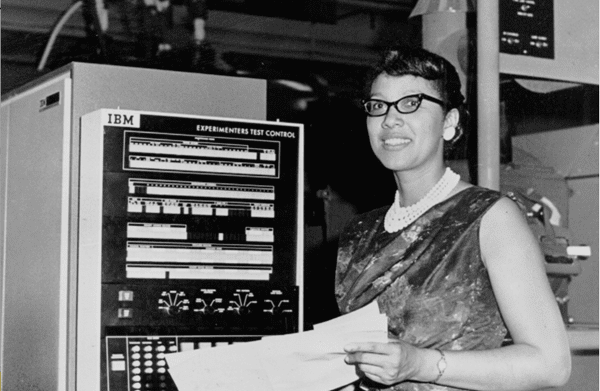 These women, though not the faces memorialized in crowded mission-control room photos or seen waving from catwalks before launching beyond Earth's grip were nonetheless stars in their own right. And one of the brightest was Katherine Johnson. I finally saw the movie "Hidden Figures". What a great story about a group of intelligent and talented women! A special "Thank You" for their contribution to the space program.